“I believe profoundly that if you want to create five million jobs in South Africa by 2020, you have to create one million new enterprises. The whole debate should therefore be ‘how can we create the environment and the space for one million new enterprises to be created?’” Clem Sunter. 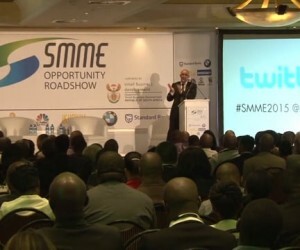 The Opportunity SMME Roadshow is on the road (pun intended). Four fantastic events were staged in 2015 – in Johannesburg, Durban, Port Elizabeth and Cape Town – and proved to be an outstanding success. SMMEs play a crucial role in creating jobs and developing the economy, which is why State President Jacob Zuma created a Government department especially for this purpose, namely, the Department of Small Business Development. Under the leadership of Minister Lindiwe Zulu, the Department of Small Business Development will spearhead Government initiatives to develop small businesses in every community throughout the country and link small business development with economic growth and opportunity in every sector of the economy. The four Roadshow events saw an array of top speakers – all experts in their fields – putting the spotlight firmly and squarely on a sector recognised as one of the most powerful sectors in the SA economy. 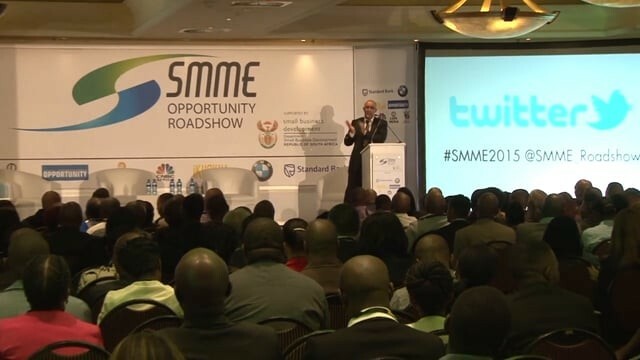 The SMME Opportunity Roadshows not only showcased opportunities under the umbrella of the South African National Infrastructure Plan (SANIP) but also provided focused guidance for SMMEs to mainstream their competitive advantage as effectively as possible. This will enable SMMEs to position themselves advantageously in the value chain of any project. Of course, SMMEs also got to network with key players in every economy sector, meeting the people they need to take their business further.